A classic fairground holds a very precious place in almost everyone’s heart. It was a Friday evening; a kid won his first fair game. Beaming with pride, he proudly shows off his prize, a stuffed toy. Nearby, an old couple watches the carousel for it is a gleaming reminder of how their once young love started. All over the park, parents worry yet cannot contain the excitement as their kids line up for the scariest rides. Fun and thrilling experience await the visitors of Holiday World Maspalomas, the cherry on the Gran Canaria cake. Tourists travel to Maspalomas for its breathtaking beaches and stunning dunes. Why not? The waters and sands of this coastal town are perfect for leisure sports and relaxation. Its desert by the ocean, on the other hand, gives holiday-makers a unique kind of Canary experience. Simply put, it’s the very definition of island vacationing. In an archipelago full of seaside wonders, a destination needs something that sets it apart. Museums, archaeological sites, water parks, natural wonders and viewpoints, they are all quite typical. An amusement park like Holiday World, though, is anything but ordinary. It is a place where fun memories spawn and stay forever in the subconscious. It is also where pleasant recollections of the past come flooding back into the mind once one sets foot in its sprawling ground. An American hiker and traveler Christopher McCandless once said, “Happiness only real when shared.” With a full catalog of entertainment for all ages, Holiday World Maspalomas promises unforgettable experiences for families, friends, and lovers. From afar, the sight of the soaring 27-meter high Ferris wheel aptly named ‘The Big Wheel’ sets the tone for what visitors can expect. Spread out in the park are other crowd-favorites such as the carousel, dodgem cars, and bumper boats. The very upbeat Holiday World is dreamland to youngsters. How can it not be? Splashy hues cloak the entire complex while rousing music fills the air. Children scream with glee on carnival rides especially made for tiny tykes. Meanwhile, the Little Octopus and the Little Train never fails to deliver a mesmerizing experience. Holiday World Maspalomas is not only for the timid. 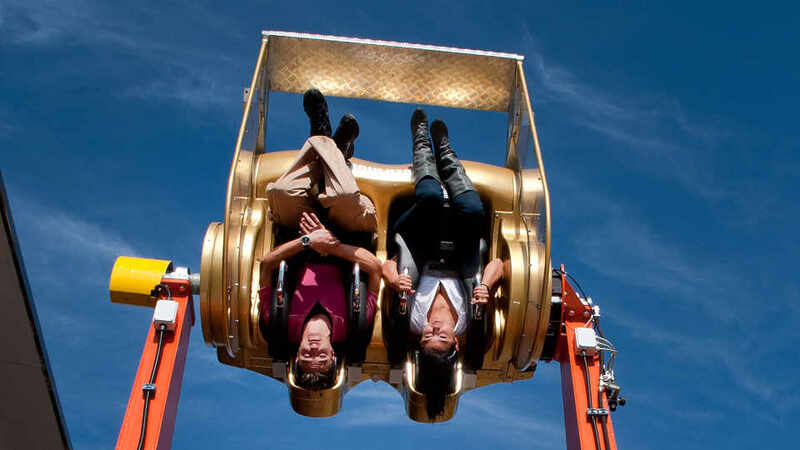 There is plenty of hair-raising rides for adrenaline junkies too. For those who dare, there is the legendary Pirate Ship. If rocking back and forth in crazy angles is not enough, then there is the Roller Coaster going up and down while twisting and turning. There’s more for people who want more. Get on the Giro Loop where riders are flipped upside down in midair for a 360-degree flashing views of the whole town. After getting flipped, then it is time to take a 21.5-meter plunge in the Sky Drop. At Holiday World, it is not only the sound of music playing that fills the air. It is also the screams and the nervous laughter afterward of visitors brought to the extreme edge of fun. Be it with family, friends, or lover, unleash the beast within. Nothing tops watching a rival’s jaw drop as the sound of a strike resonate in the whole bowling alley. How about finally scoring that humongous teddy bear from the shooting stalls? It’s every adults’ childhood frustration. To carry on with the winning streak and quench the need for speed, there are two options. Step on the gas pedal and race through the track on the F1 simulator. Then, head over to the karting track and race against others without caution. After conquering the tracks, then it’s time to take a side trip to the wild west. Get on a palpitating bull ride and tame the beast. Be prepared to be dropped, though. Dedicated to making parenting and babysitting easier is the funfair’s very own park. Indeed, the playground, inflatables, pools, and the pony ride can keep the mini VIPs occupied for hours. As for the grownups, the boat ride by the lake makes chaperoning a bliss. It is relaxing and a great way to create lasting memories. Tenerife has Loro Parque, but they do not have a monopoly on the lovely birds. Every night at 8:00 pm, six charming parrots entertain the crowd with humor and tricks for a full 15 minutes. At Holiday World Maspalomas, one can add watching the parrot show to the list of things to do. Besides watching the parrots, people and the rides, there is also the 4D cinema where viewers can get up close and personal with the program. Ever thought of going to an amusement park to hit the gym or spa, let alone heard of one? Well, there’s a first time for everything. The wellness center in Holiday World has both and is a favorite escape of loving parents. Let the teens blow their minds away with the insane ride, while adults take a break from the non-stop fun activities. Break a sweat on the treadmill or have a massage to soothe aching muscles. Feel reinvigorated before heading back to parenthood. Not that the park needs to, but the free admission is most welcome. Even the first four hours of parking is free-of-charge. Guests only need to load the Holiday World card with points and use it to pay for rides and other activities. It is up to the visitors to decide how much or little they want. 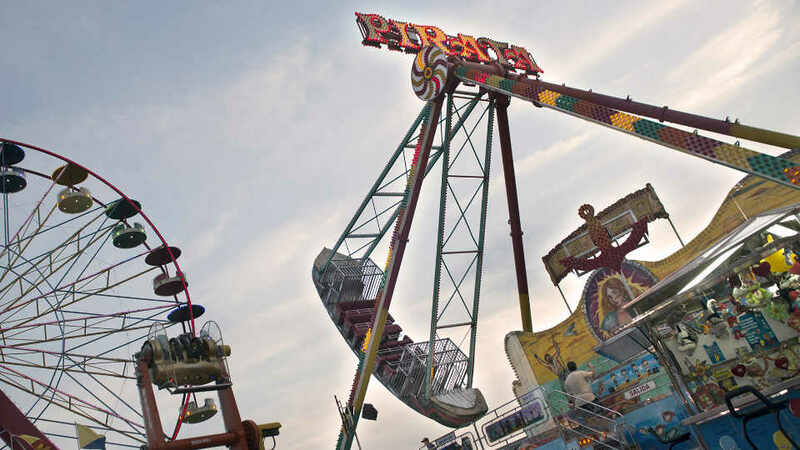 The amusement park is open all-year-round, but its operating hours depend on the season. The fun starts at 6:00 pm to 1:00 am on Fridays, Saturdays and days before public holidays during Summer. On other days of the week, come around from 6:00 pm up to 12:00 am. During winter, Holiday World opens and closes an hour early. For delicious Italian food, El Nublo Grill Restaurant is hot and ready to serve. Oven-fresh and tasty, diners can’t help but sing praises about their pizzas. Their pasta, fajitas, chicken curry kebab, paella, and steak are a hit too. From Europe to Asia, let the taste buds take a tour. Don’t miss Restaurante Chino Taiwan for tasty traditional Chinese cuisine with large portions. The must-trys are spring rolls, egg fried rice, garlic chicken, chicken with mushrooms, beef in black bean sauce, beef with mushrooms, beef sizzler, and fried wantons. Food bars only a few steps away from attractions. The 80s inspired Bowling Bar is colorful, retro, and cool. While munching on yummy fast food, diners can also enjoy lovely music or sports events on TV. Next to the park is the Racing Bar. As it is next to the children’s area, most of its diners are families with kids. It doesn’t matter if a person is with or without a child, though, everyone is welcome. People are especially ‘racing’ to get a table because of their tapas, fast food, and doner kebab. Holiday World aims to satisfy its visitors. That includes those who want to party or delight in alcoholic drinks. So, within the park are two clubs for guests to happily conclude the day. Papagayo Nightclub appeals to those who want to have a drink and break a sweat on the dance floor. Or, head over to Moonlight Sports & Karaoke Bar for chats and beers. As the public transport system of Gran Canaria is reliable and cheap, many tourists prefer to go by bus. From San Telmo Station in the capital Las Palmas, bus line 50 only takes 30 minutes to arrive at Faro Maspalomas. It’s is the fastest and the only direct bus to the fabulous resort. Those coming straight from the Gran Canaria Airport can quickly reach the town via bus line 66. From Las Palmas to Maspalomas, there are two buses. Line 30 departs from Sta. Catalina Station and takes around 40 minutes to reach the famous coastal town. While bus line 05, the late-night service, leaves San Telmo Station and takes more than an hour. It also stops at the airport and, basically, all the other resorts along the way. This one is perfect for those who would like to see the coastal beauty of Gran Canaria by sundown. Once in Maspalomas, going around is effortless. Most people prefer to walk especially those staying in hotels near Holiday World. Visitors opting for car hires can make arrangements with most accommodations. Holiday World Maspalomas aims to cater to all its visitors’ needs. Whether it is merriment, excitement, recreation, relaxation, food, or nightlife, it’s all here. It’s also a place where people relive old memories and create new ones too. The amusement park is wholesome and safe for families with children. There is plenty of entertainment for the little ones and the timid. There are also plenty of adrenaline-pumping rides for the daredevils. Besides going high and low in a matter of seconds, there is also speed and racing. Holiday World is where people can feel, experience, and be something new, old, or the impossible. Like a colorful salad, it’s a fun park with a little of everything all mixed in one bowl.